On September 30th, Wealth Research Group commenced on a 3-part series, which continued on October 2nd and October 4th, detailing the reasons that gold and silver are FINALLY indicating signs of a bottom. Gold’s price at the time was $1,183, which we see as an important price point that is, essentially, a line in the sand. Silver was priced at $14.20 per ounce. Today, gold’s spot price is $1,218 and silver’s is $14.60, but we’re not anticipating a huge rally anytime soon. However, I want to remind you that during the 1982-2000 legendary U.S. equities bull market, gold had several huge runs, which lasted nearly a year, which is what we could be embarking upon. From July 1982 to January 1983, gold gained 55% in total. Then, from December 1985 to December 1987, it again rallied. This time the total returns were 51%. This happened once more, between September 1989 and January 1990, a swift 4-month run, netting 14% gains. From today’s price, a 14% move would bring us to a $1,388 price, while a 55% takeoff, would shock everyone and put us at $1,887, which is above our bull-market target of $1,704 by 2022. In any case, it is imperative to understand how you can control your trading, during the bear market, which is the reason we created this REPORT. In all of its history, the S&P 500 Index has only seen six days, as wild as last week’s worst trading-day. The S&P 500 closed below its 50-DMA, which is indicative of oversold conditions. In 30 years, this happened only a dozen times. There is simply a lack of trust between world governments, within governments themselves, among major policy-makers, and, in general. Everyone is stressed out about what other actors in the market are going to do. Before market euphoria, the gains are, on average, 20.41% in 180 days of trading, leading to irrational behavior by investors, who are buying anything. The mainstream media adds fuel to the fire, running shows about the “resurgence of American dominance,” which convinces the public that stocks are “invincible” and the rookies eat it up with a spoon, dumping their hard-earned savings when the risk is the gravest. We’re not there, not even close. Sentiment isn’t that positive, yet. A. Dow Jones: 31,000-36,000. Currently: 25,339. Potential upside: 42%. B. S&P 500: 3,700-4,300. Currently: 2,767. Potential upside: 55%. C. NASDAQ: 10,200-11,800. Currently: 7,496. Potential upside: 57%. Many variables determine how long and how outrageous the stock market bubble will become, but there is currently no reason for investors to be selling their stocks and move into bonds, so while the multiples are generationally high, it is still not enough to pivot the mothership in another direction. 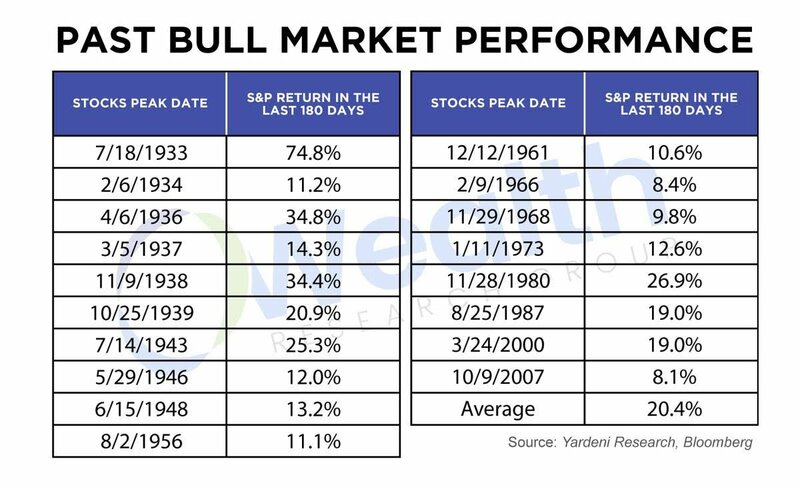 What’s also vital to keep in mind is that, as we’ve shown, the next nine months, the 3rd presidential year, is the best time to own stocks, judging by over 100 years of data. Couple this with the fact that the earnings season is about to begin, and that the mid-term elections will provide some certainty, as to the direction the country is taking, and you got yourself a perfect recipe for a bubble. If you’re patient, this is perfect for you. It is like watching someone trying to pick up a girl, making all the wrong moves, so you can be next in line to comfort her easily, opening the way to a great evening with her. The more this bubble goes on, then, the more the commodities bull market will be aggressive, when the paradigm shifts. The S&P 500 is expected to return only 5% annually, going forward, for the next decade. The 10-yr bond yield will probably average 3.5%-4.5% a year, during this same time, while inflation will, most likely, be somewhere close to these annual averages of 3.5%-4.5%. Put differently, you can lend the Treasury Department funds and see your coupon payment get wiped out by inflation, or risk funds in the stock market, only to see 90% of them go towards the hidden tax of inflation. Both options are not attractive, bottom line. In this sort of scenario, I see real assets, commodities, staging a monumental ascent, but we’re not there yet. 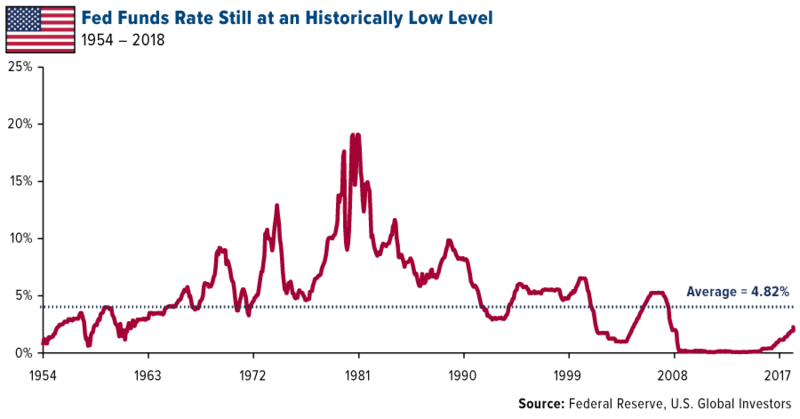 The Federal Reserve will, in all likelihood, raise rates at least three more times, before the cycle ends, which is right about the time the market will go into its 9th inning – its final leg. Before the next elections arrive, the main focal points will be: entitlements, inflation, and recession. The way we see it, the next two years will be the most interesting years of our lives.